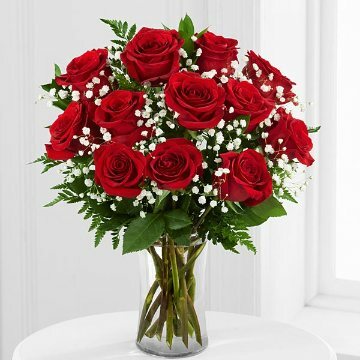 1 Dozen Long Stem Red Roses with Vase. This classic red rose bouquet is a beautiful way to open their heart! A dozen of our finest 16-inch red roses are perfectly accented with lush greens to create a bouquet that shares your sweetest sentiments.